4k00:41Attractive young joyful woman fashion blogger making video blog about shoes and demonstrating some after shopping. Indoor. 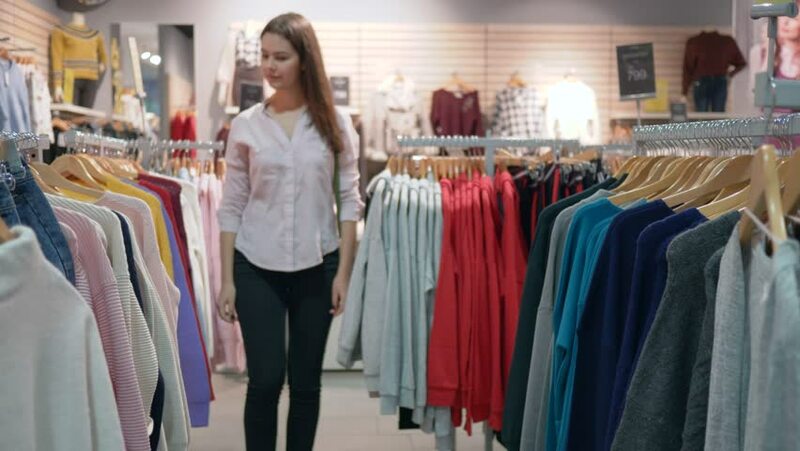 4k00:21Female Shopping For Sportswear In Sport Clothing Store Choosing pants. 4K. 4k00:32Pretty young fashionable woman recording video blog about fancy style and demonstrating clothes after shopping. Inside. 4k00:22Caucasian stylish woman sitting on the couch and making fashion video blog on how choosing shoes. Indoor.